This was a great weekend for being outdoors. It was cloudy & it was not too hot or too cold. 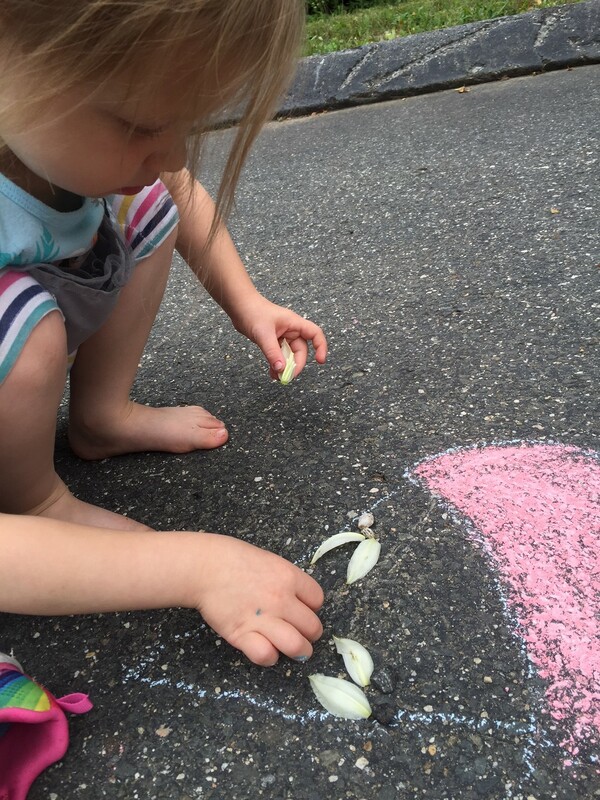 It was perfect for backyard exploring and playing and, of course, for sidewalk chalk. 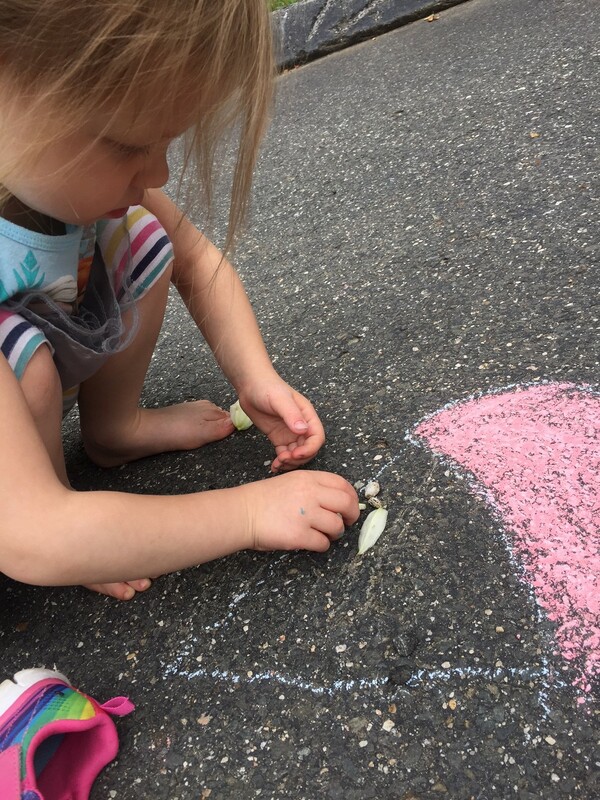 My daughter & I love playing with sidewalk chalk. It is an outdoor favorite. 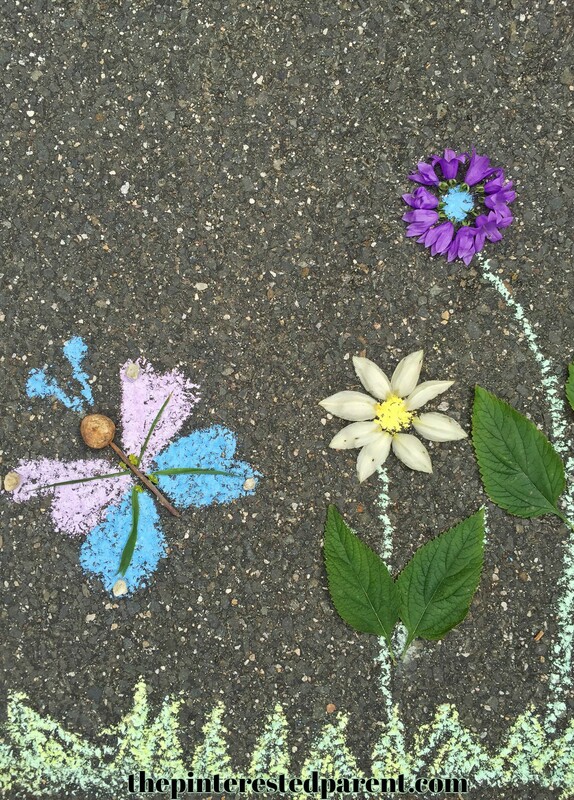 We both began drawing with our chalk & my daughter spotted some loose petals on the ground nearby. She ran to pick them up & brought some over to show me. 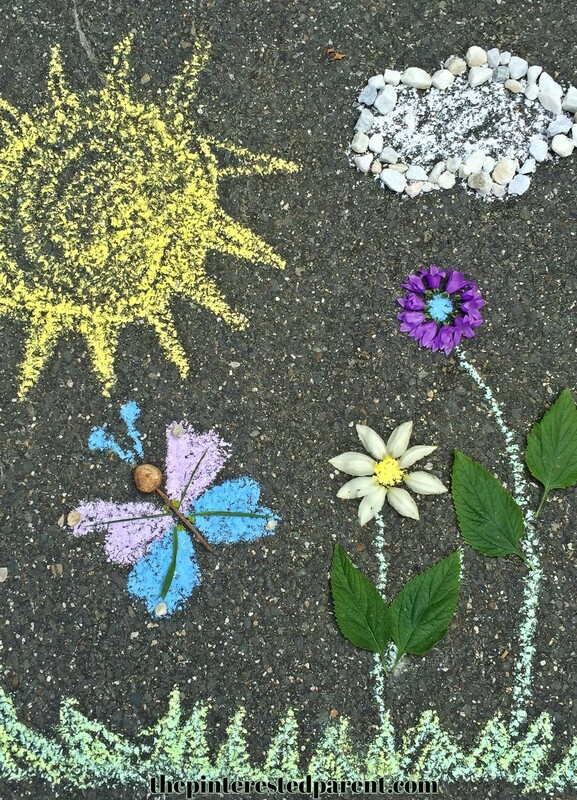 We decided to work them into our sidewalk art. As we began working, we realized that we wanted more, so we walked around the yard and collected rocks, sticks, leaves & fallen petals. My daughter loved this. 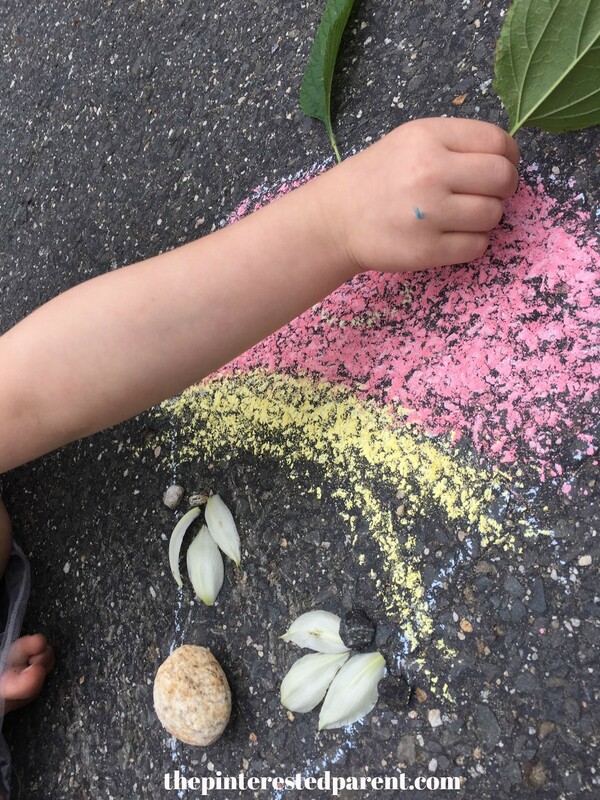 she drew out her picture and placed her nature items around it. She kept jumping up and searching the yard for more. “I need white rocks and 1 stick.” She looked for her perfect pieces & returned. Our creations were a lot of fun. We worked on them until it was time to start dinner. Later, I asked my daughter if her favorite part was gathering the rocks. 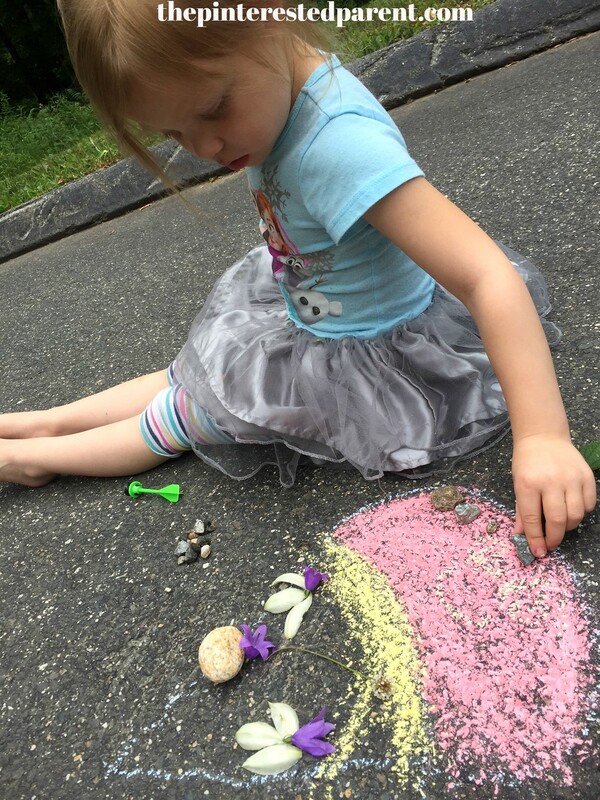 She said “No, I like drawing outside with my mama.” That was my favorite part too.